San Diego’s Independent Budget Analyst has released its projections of the fiscal impact of Proposition B, the pension reform initiative on the city’s June 2012 ballot. It finds that the pension reform provisions of the measure would save taxpayers exactly no money. 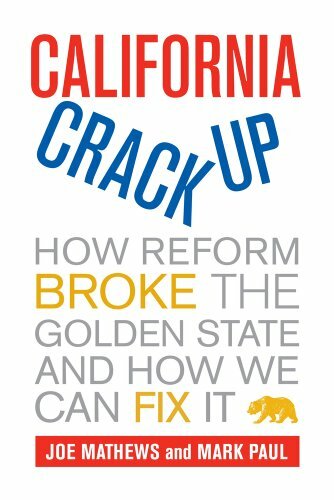 I’ll be joining David Watts Barton on Capital Public Radio’s Insight, Wednesday, February 29 at 10:00 a.m. and 8:00 p.m, 90.9 FM on the Sacramento area radio dial, to talk about the arena deal and Sacramento’s fiscal crisis. UPDATE: They switched hosts on the show; Beth Ruyak took the microphone (you can hear the podcast here). And if we needed any evidence of the stakes as I explained them, take a look at what I ran across in the neighborhood on the way home. The owner lost a couple of thousand worth of tools and some new, uninstalled appliances. When he reported the crime, the police told him it’s policy not to investigate unless guns or explosives were stolen. And remember, this is before a financially strapped city spends $250 million to subsidize the NBA. The news of a deal struck between Sacramento and the NBA for a new arena for the Kings brought “elation” to City Hall, the Sacramento Bee reports. If so, it’s the kind of cartoon elation Wile E. Coyote feels in that moment when, having run off the edge of the cliff, The Road Runner hands him an anvil.